Preheat oven to 400 degrees F. Toss butternut squash cubes with olive oil, salt and pepper. Arrange onto a large baking sheet, and place into preheated oven – cook for 30 to 4o minutes. (10 minutes before removing butternut squash from oven) Tear kale leave into chunks. Heat olive oil in a large skillet over medium heat – add garlic, and cook until fragrant (about 1 minute). Add kale, salt and pepper, and stir to combine; add a splash or two of white wine, and cover – cook until the kale is steamed. 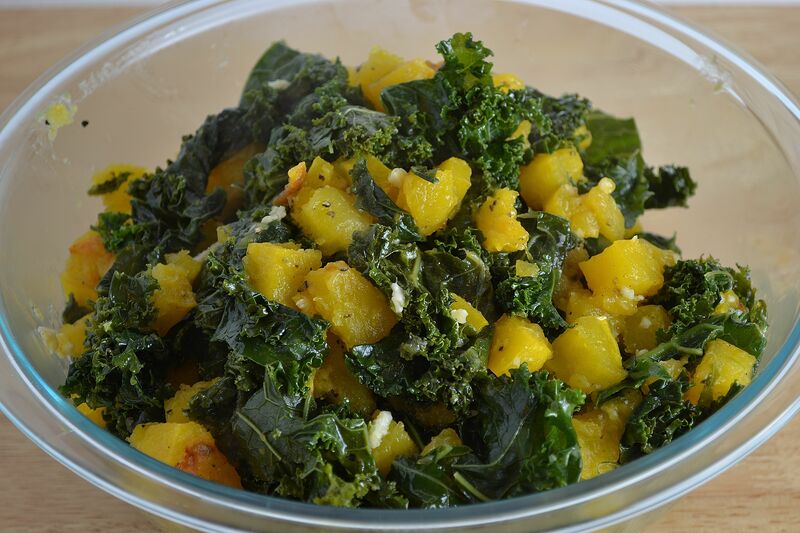 Gently toss the butternut squash with the kale, and serve immediately. To read more about this dish and musical pairing, click HERE.